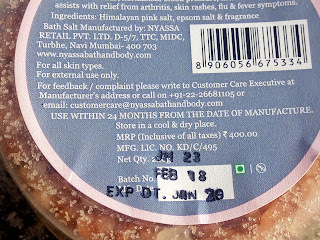 Nyassa is a premium manufacturer of natural bath and body products. The origin of the word Nyassa lies in Sanskrit and means healing through touch by chanting tantras and mantras, the result a divine body. 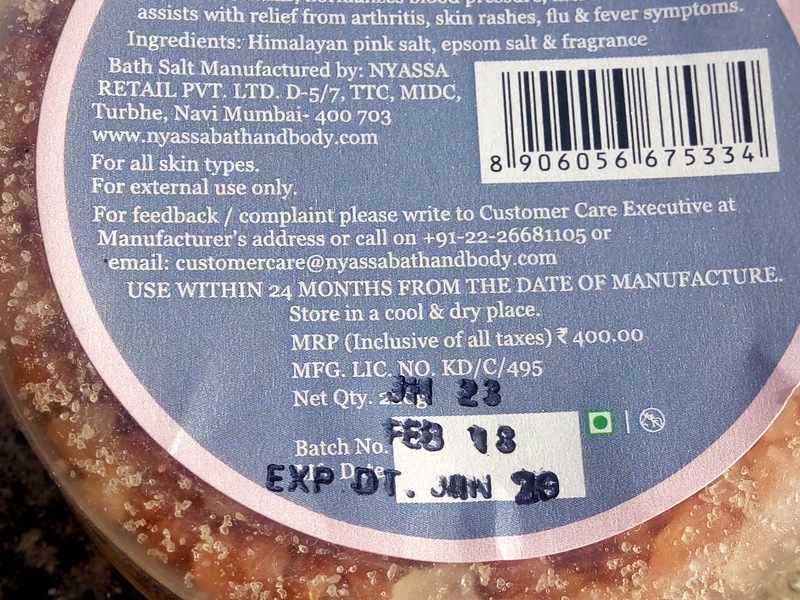 Nyassa’s founder and owner is Ishween Anand who is a qualified C.A. and a MBA from Stern School of business, New York. She left her job in America to pursue her passion for fragrances and started Nyassa in April 2007. Ms Anand has been trained in the art of manufacturing bath and body products by many experts from around the world. This passion has lead to Nyassa having a distinctive fragrance and is the reason why our products are easily distinguishable from others in the field. 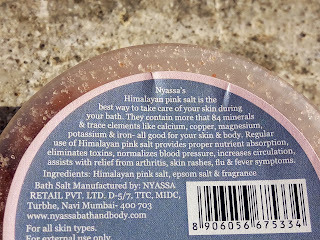 Nyassa Himalayan Pink Bath Salt is loaded with content of 84 minerals and trace elements like calcium, copper, magnesium, potassium and iron – all good for your skin and body. Moreover, it allows your skin to have a natural glow by doing away with impurities. It helps to detoxify the skin and cleanse it thoroughly. Its therapeutic properties come in handy for relieving body aches and healing skin rashes. 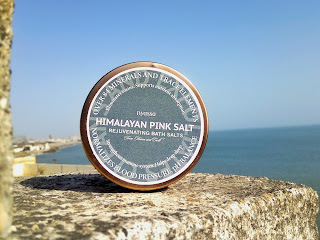 Regular use of this salt normalizes blood pressure, increases circulation and assists with relief from arthritis, flu and fever symptoms. It is the best way to de-stress and relax your body during bathing. 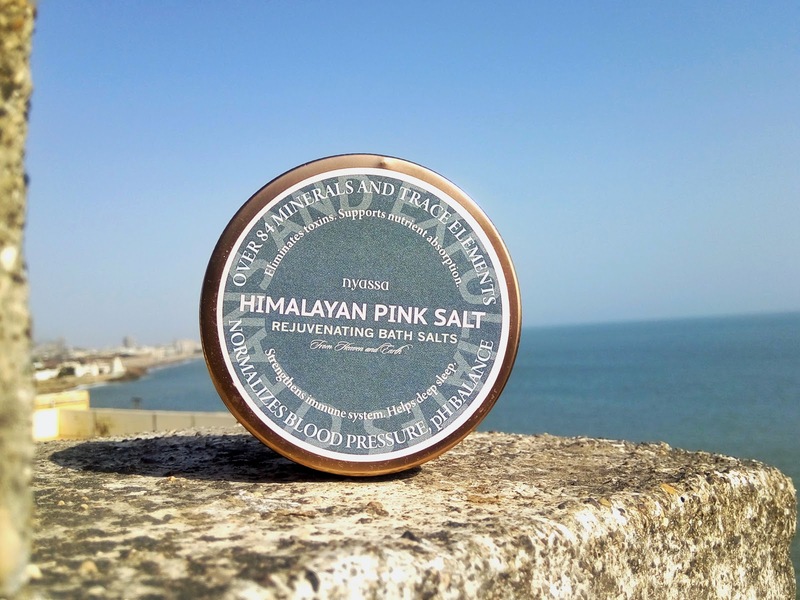 Adding a small portion of this bath salt while bathing in lukewarm water promotes the feeling of relaxation and well-being. It also provides the relief from muscular pains. Set aside some time this week for a blissful bathing, then do nothing and just relax. 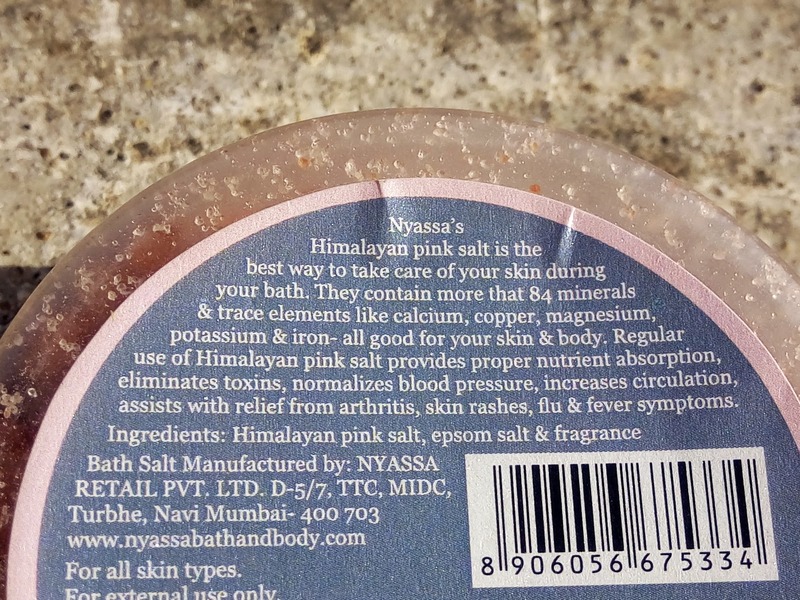 The Nyassa Himalayan Pink Bath Salt comes in transparent circular tub with a lid. The product details is labeled on the tub. Take a bucket of fresh water, preferably luke warm water. Add a small portion of salt in the bucket and mix it well. 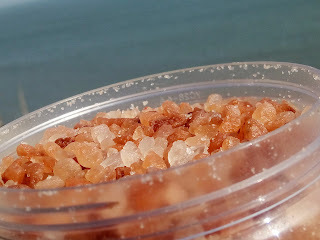 Add 1 spoon of salt in bowl of water for manicure and pedicure. The quality of this product was great! I combined it with Epsom salts for the bathtub and it took my relaxation/detoxification to a new level. The soaks are wonderful, and pain relieving to me. I sometimes just use it as a foot soak. Just soaking in them made me feel refreshed! I have only used them currently a few times but I am pleased with them. I look forward to more soaks with them just to help me escape from the stresses of the day! I also felt more relaxed and slept better after using it.